Hillary Clinton and ole John “PizzaGate” Podesta continue sniveling and whining about their stinging election defeat. What part of You Lost don’t y’all understand? 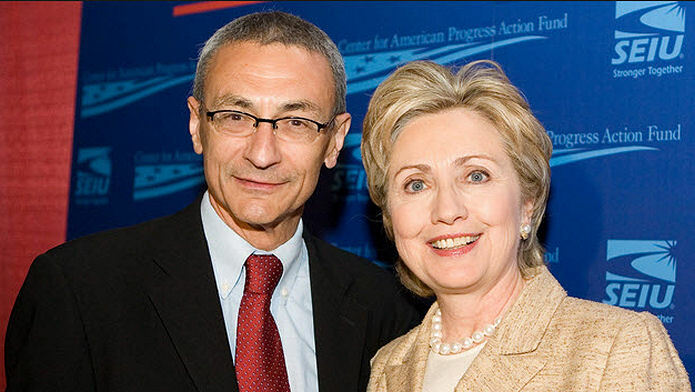 Hillary Clinton and John Podesta continue to be sore losers. Go away America has no use for you! Hillary’s campaign tried every dirty trick money could buy. They beat up on elderly and disabled Donald J Trump rally attendees, conspired against Bernie Sanders, and it goes on and on. Then some blooming idiot within the Clinton Campaign fell for a common everyday phishing email, that even teenagers are smart enough not to fall for. Podesta issued his statement in response to letter from Nancy Pelosi’s daughter Christine, a voting member of the electoral college, to request a security briefing before she casts a ballot. We now know that the CIA has determined Russia’s interference in our elections was for the purpose of electing Donald Trump. This should distress every American. We further require a briefing on all investigative findings, as these matters directly impact the core factors in our deliberations of whether Mr. Trump is fit to serve as President of the United States. Our campaign decried the interference of Russia in our campaign and its evident goal of hurting our campaign to aid Donald Trump. Despite our protestations, this matter did not receive the attention it deserved by the media in the campaign. This just goes to show, this Presidential Election Couldn’t Be Bought! America’s President-Elect Donald J Trump is fast tracking his best pick of available knowledge for his cabinet members. Trump saved all those Carrier Corp Jobs, and will make deals with other countries that will make America come First! Clinton and Podesta are making themselves look like fools.